The electromagnetic shielding allows to attenuate the electromagnetic fields produced by machinery, industrial processes or antennas. For example in every hospital or clinic where there is an MRI, is necessary that the room used for this machinery is fully shielded to avoid inaccuracies in the results of the resonance. 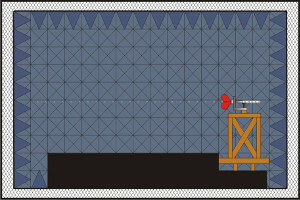 Another environment which requires an electromagnetic shielding is the anechoic chamber chamber, that must be completely shielded from any external influence that may affect the data storing. At the same time the shield prevents the dispersion of the generated fields. To obtain an electromagnetic shielding a Faraday cage is used. It is made of conductive material assembled ad hoc to create the shielded environment. An important parameter that characterizes the quality of the electromagnetic shielding is its shielding effectiveness or attenuation. This parameter is calculated through specific tests, regulated by international standards (MIL-Std-285, IEEE Std 299, EN50147-1, NSA65-6). The measure of the shielding effectiveness or attenuation of the cage should be periodically performed, in order to detect any anomaly that may degrade the environment’s shielding performances. To facilitate the operators’ work and optimize the acquisition of the measures, the R&D department at MPB has developed the SEMS (Shielding Effectiveness Measurement System), greatly simplifying the procedure to test measures for electromagnetic shielding. 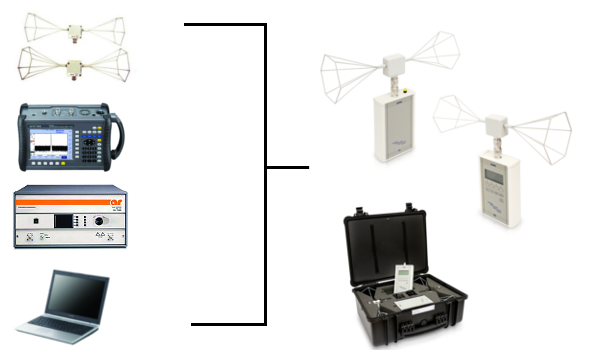 The SEMS and its antennas deeply facilitates the operator, that has all the necessary equipment in one single suitcase, avoiding having to use a spectrum analyzer, a generator, antennas and a PC for data analysis. Even the acquisition of data has greatly improved. It is in fact possible, through a simple command, to make a swipe of the frequencies to test, avoiding to continually change frequency to the spectrum analyzer and to the generator. The SEMS provides the opportunity to minimize errors in the shielding effectiveness measurements, and to to perform test with a single operator only.